Obsession of the week: Oscar bait in theaters. It’s pretty early to be thinking about the Academy Awards, but let’s not forget “The Hurt Locker,” which premiered in early June 2009 and won Best Picture (along with five other Oscars) eight and a half months later. 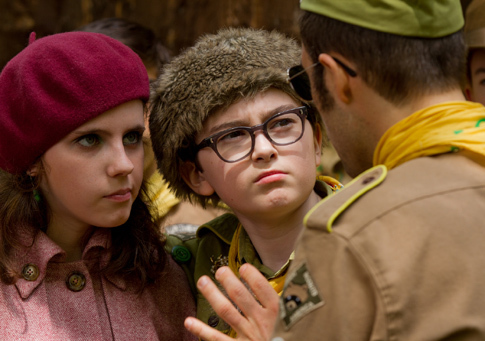 “Moonrise Kingdom” — Wes Anderson has yet again created a film with heart, laughs, and gorgeous, meaningful visuals. I imagine a writing nomination is in this film’s future. “Brave”* — Pixar missed out on an Animated Feature Film nod last season because of an underwhelming sequel, “Cars 2,” the first Pixar film since the category’s creation in 2001 to be absent from ballots. But with “Brave,” the company introduces its first female lead — and to good reviews — which will be enough to be listed as a contender come January. “The Amazing Spider-Man” and “Marvel’s The Avengers” — While not likely to be acknowledged for their stories or acting, big-budget action movies typically clean up in Visual Effects, Sound Editing, and Sound Mixing. “To Rome With Love” — Following up on a love story to Paris and an Oscar for Original Screenplay at this year’s awards, Woody Allen not may have another winner in this ode to Rome. But I wouldn’t be surprised with a nomination; the Academy loves Allen, even if he refuses to attend the ceremonies (save for this moving and funny love letter to New York in 2002, complete with a shout out to the late Nora Ephron). “The Dark Knight Rises”* — Christopher Nolan’s last installment in his Batman trilogy has yet to arrive in theaters (July 20 is the release date), but seeing as how the “The Dark Knight” Best Picture snub at the 81st Academy Awards singlehandedly brought forth the increase in the category’s number of nominees the following year, this film has high expectations from all. *Films I have not yet seen but intend to before February’s awards. You may have seen a handful of these films, all released within the last 20 years. To catch up on a bunch more, you can thank Netflix. Below are links to the 17 streaming titles, and for the full list of 50, check out EW’s photo gallery. The first 2:45 of the music video is one shot and includes a key-tar, sparklers, average-Joe dance moves, and a door one can only assume leads to Narnia. What fun! I first heard this song on my favorite place to discover new singles, AOL Radio’s New Pop First station. Then I realized I already owned it (and had unknowingly heard it in episode 1 of the third season of “The Vampire Diaries”). You can download the Cincinnati band’s track for free at Amazon.com. If you want to stumble upon other up and coming artists, check out Amazon’s monthly sampler of artists on the rise, which, for July, includes songs from Japandroids and Ed Sheeran (download Sheeran’s EP for free when you sign up for his mailing list on his website).